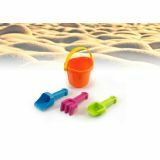 Soft and resilient plastic buckets Develop coordination and encourage physical activity while promoting imagination and creativity. 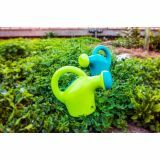 Made of strong, flexible plastic in a simple clean design. Great for classroom use. All the elements of this page together in an individual set. 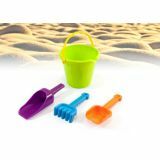 All parts can be stored in the bucket. Pieces adapted to the size of a baby's hand. Maximum strength and durability. Especially suitable for collective use. 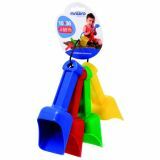 These durable plastic shovels are perfect for baby's small hands. 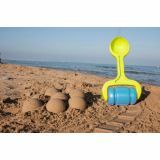 Develop coordination and encourage physical activity while promoting imagination and creativity. 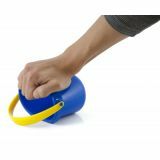 Made of strong, flexible plastic in a simple clean design. Great for classroom use. 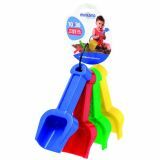 Baby Shovels (Set of 4 Assorted Colors) 5 1/4"
These durable plastic spades are perfect for baby's small hands. 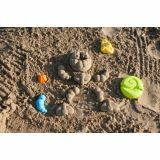 Develop coordination and encourage physical activity while promoting imagination and creativity. 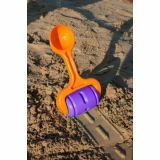 Made of strong, flexible plastic in a simple clean design. Great for classroom use. 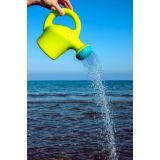 Fun in the form of a watering can. A classic product renovated with cheek and joy. Its shape will not go unnoticed and its colours are right in fashion. A different way of watering creativity!